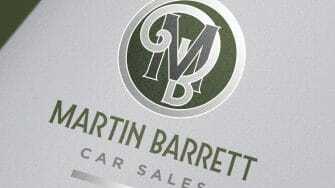 Martin Barrett Car Sales is an independent car dealer. They are not tied to any manufacturer or brand which means they can offer a wider choice, better value and more impartial advice than other car dealers. Interestingly, they occupy the site of Ireland’s oldest garage on Catherine Street in Waterford city. The garage was set up in 1900 and while the original owner has long since moved on, it’s still very much a working garage with a wide range of quality used cars for sale. When the business changed hands a few years ago, its new owner contacted us for some professional advice on how to manage the transition, from a branding and marketing standpoint. We had great fun with this project, advising him on the best way forward, designing a new logo, showroom signage, press ads, direct mail and website graphics. After meeting the new owner and teasing out the key points of difference, we felt the brand identity needed a fresh design. He was keen that the name (Martin Barrett) remain intact, for continuity purposes. We proposed a new logo with traditional elements, in keeping with its historical significance as Ireland’s oldest garage. 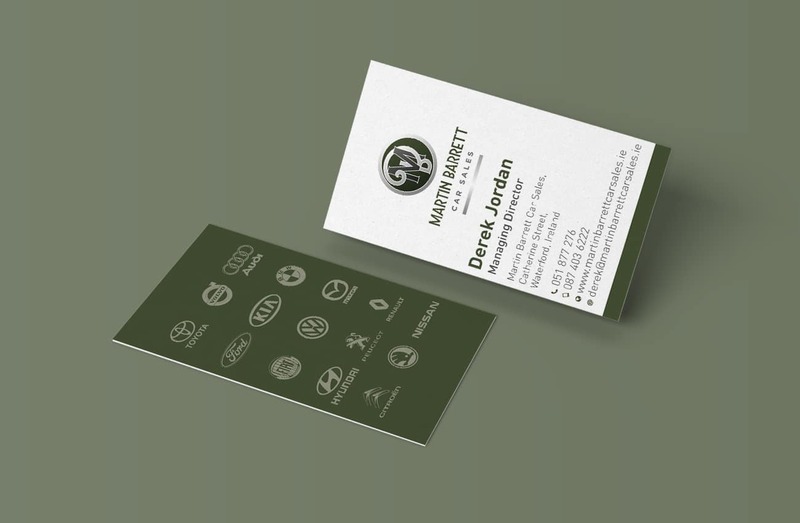 The design is also a nostalgic nod to an era when customer service and personal values were more to the fore. As an independent car dealer, the new owner wanted to reinstate some of the traditional values of yesteryear and reassure customers that he understood their frustration with mainstream dealers and had a genuine alternative to offer. It was an absolute pleasure to work with Passion for Creative. The team are consummate professionals and actually delivered much more than I was expecting. They were very easy to work with and always responded to any concerns without delay. 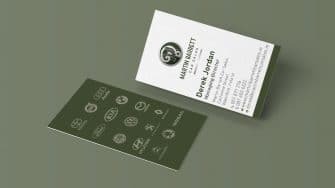 They are an innovative, modern and forward thinking team and I have no hesitation in recommending them to any professional looking to set up a website or to help with digital marketing. 10/10 service and excellent value for money.